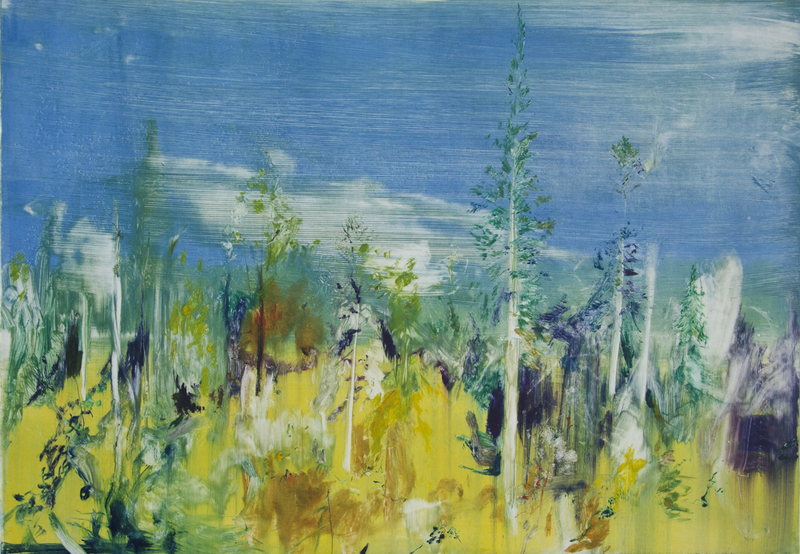 Generations of Colour serves as a precious reminder to us all that the use of bold, colourful and freely handled paint can reach out and enhance lives across all generations. 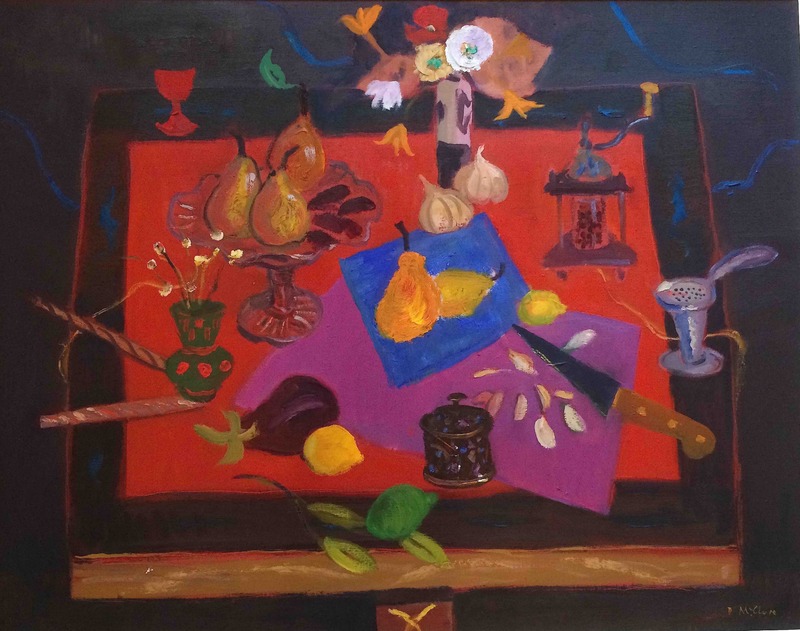 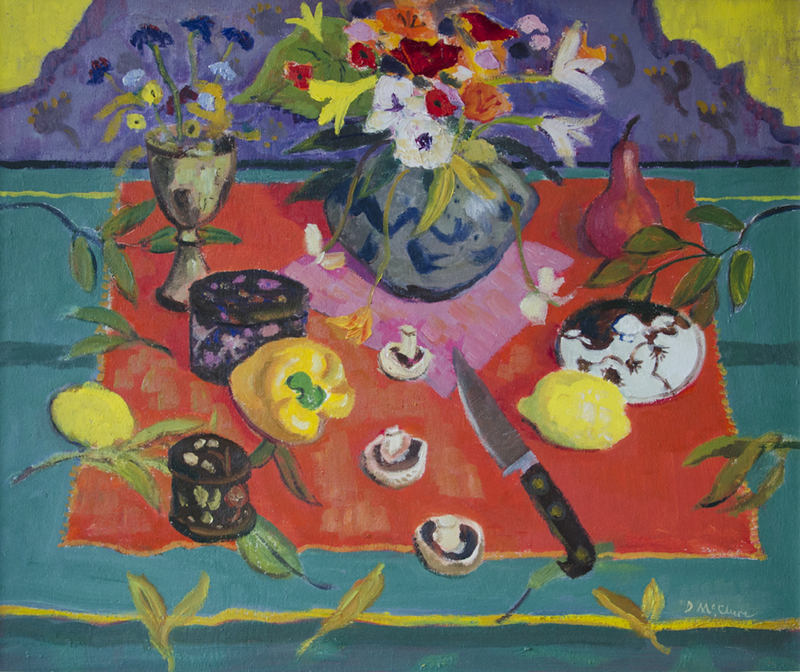 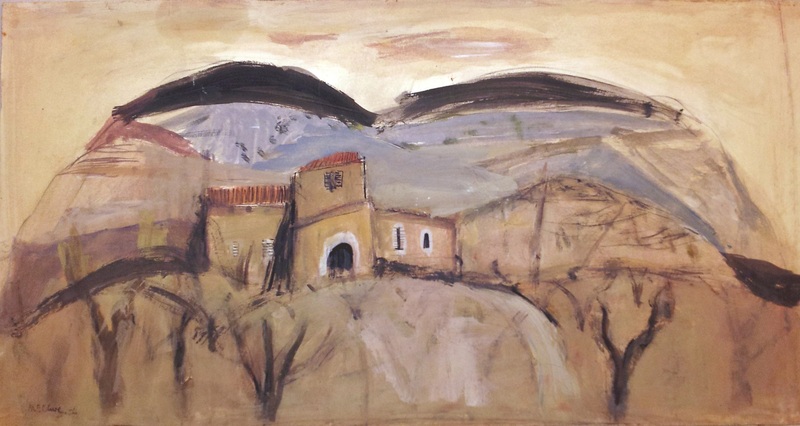 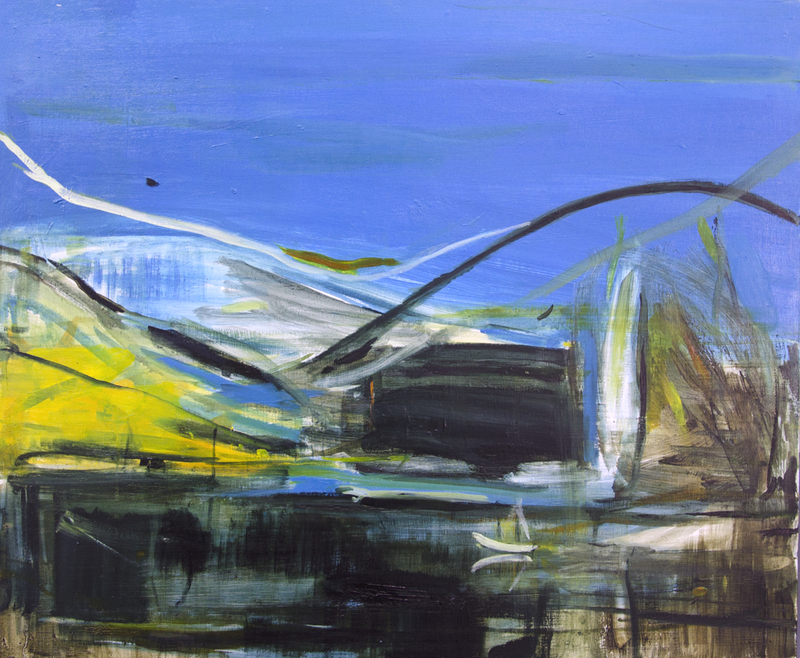 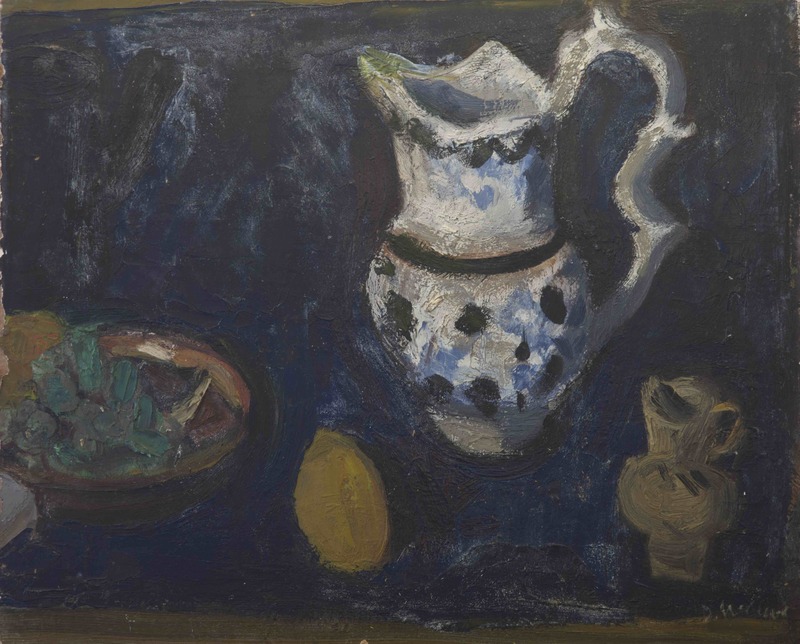 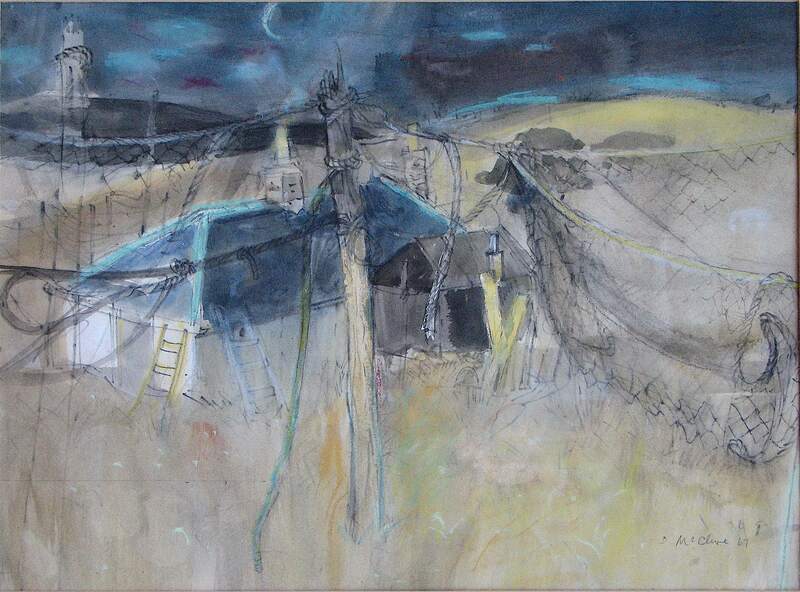 In 1957 David McClure joined the staff at Duncan of Jordanstone College of Art in Dundee recruited by Alberto Morrocco; the two were to maintain a close, life-long professional and personal friendship until they both died in 1998, McClure having succeeded Morrocco as Head of Painting on the latter’s retiral in 1983. 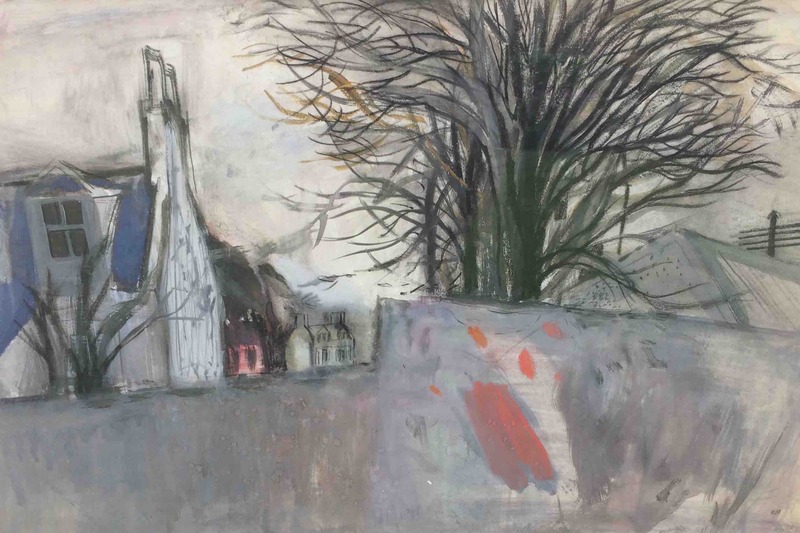 David is often credited with bringing many of the characteristics of “The Edinburgh School” to the teaching of the college in Dundee, painterly qualities, where the use of freely-handled, textural paint and strong, expressive colour is underpinned by lyrical yet rigorous drawing and composition. 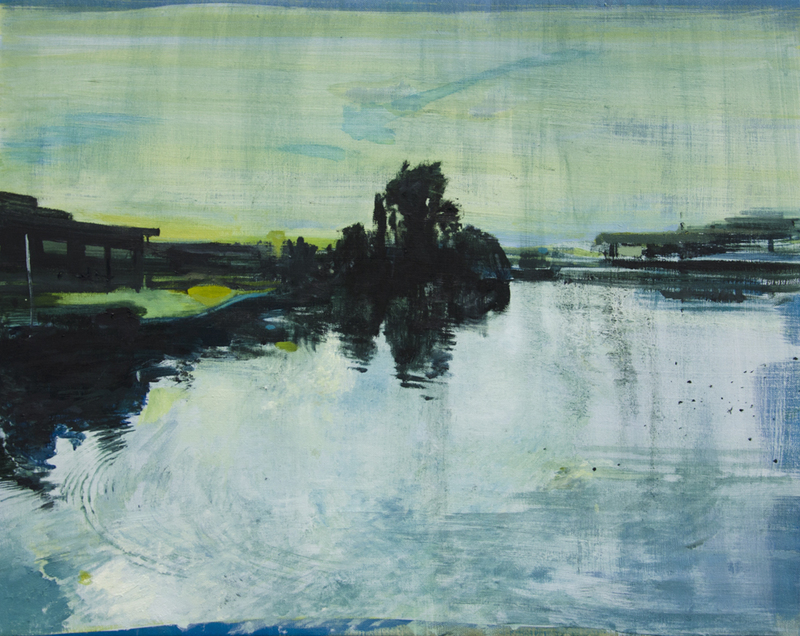 Calum McClure grew up surrounded by the work of a wide range of artists but with a particularly intimate knowledge of his grandfather’s work both from childhood visits to Dundee and on the walls at home and later through being able to study at first hand, his grandfather’s sketchbooks, portfolios and other works from the artist’s Estate. 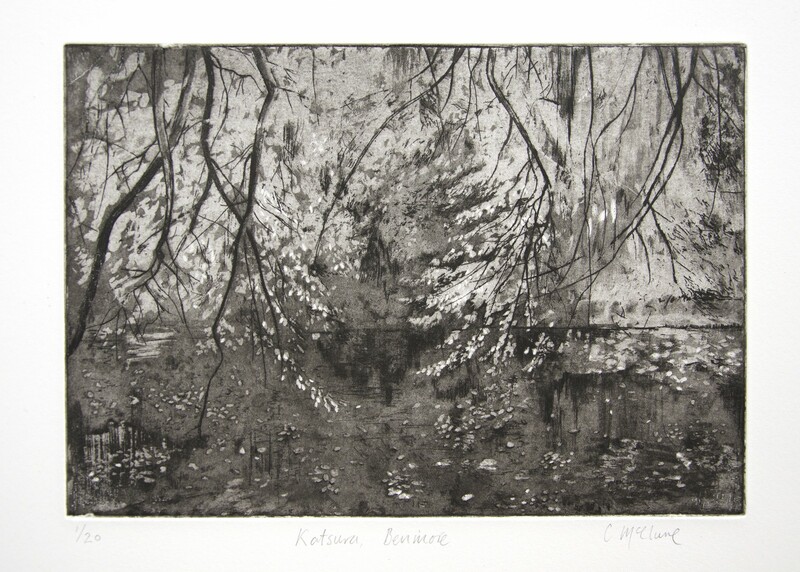 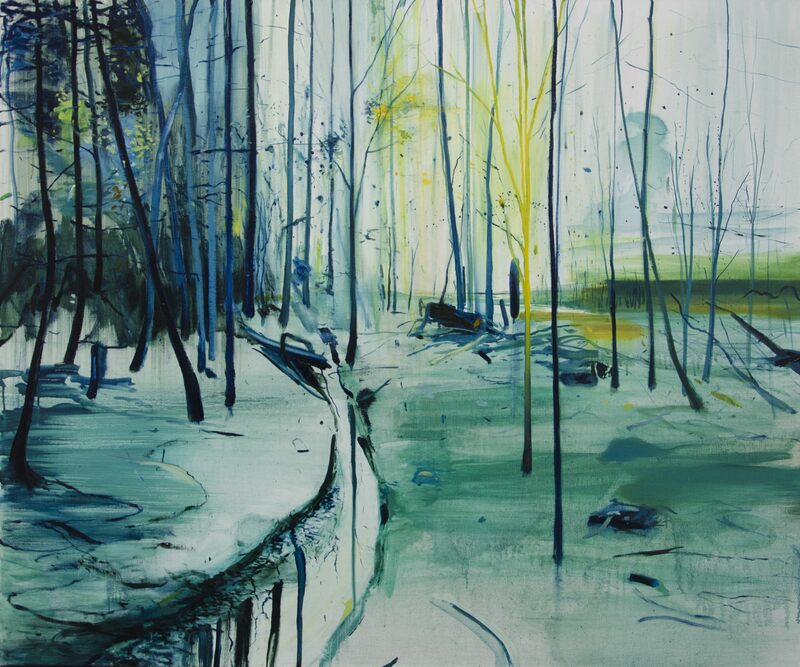 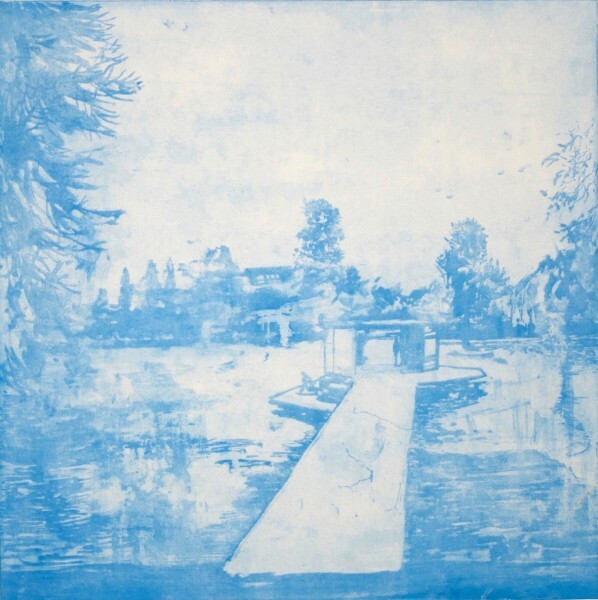 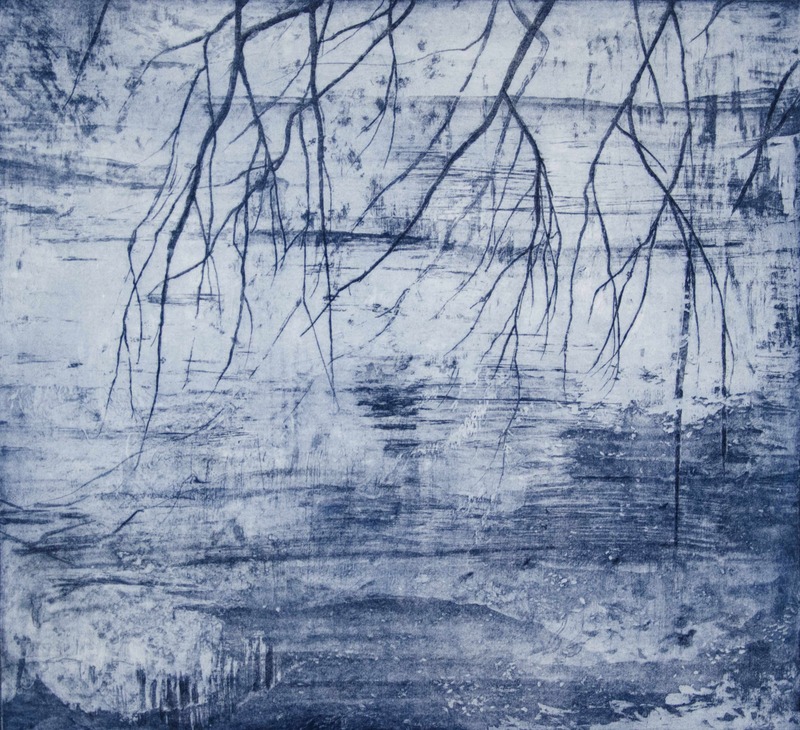 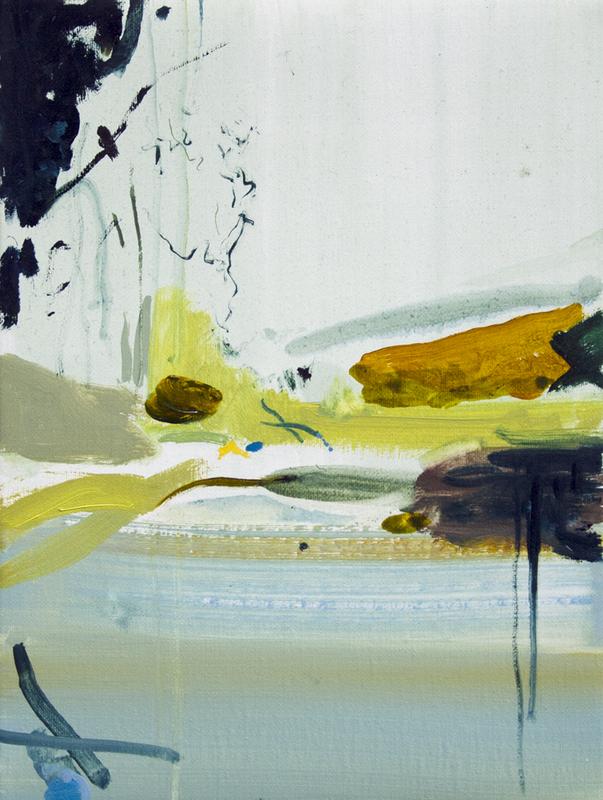 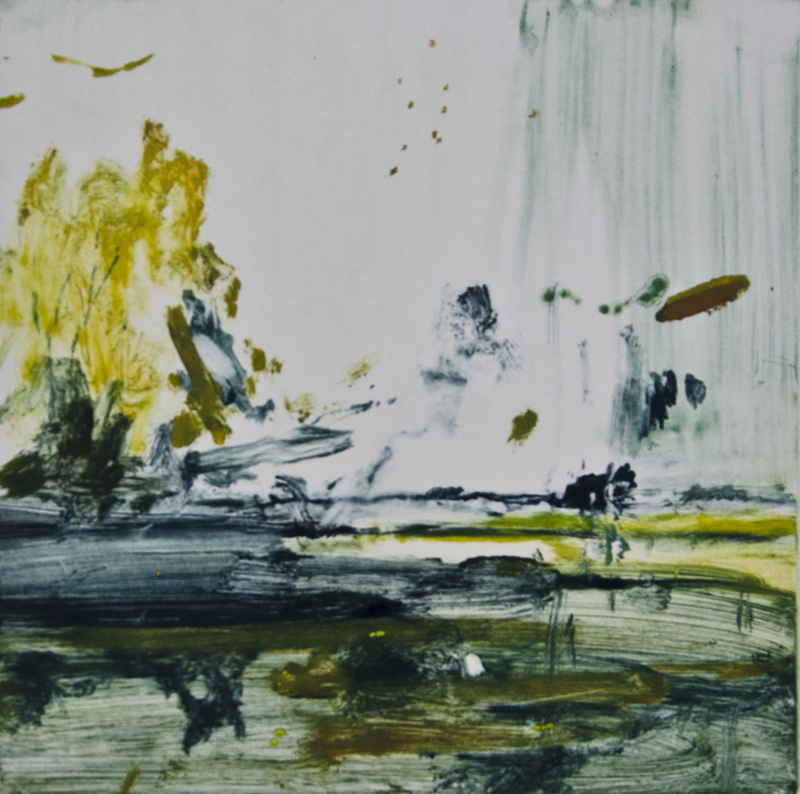 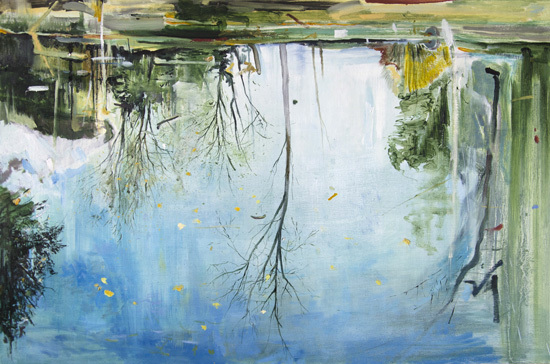 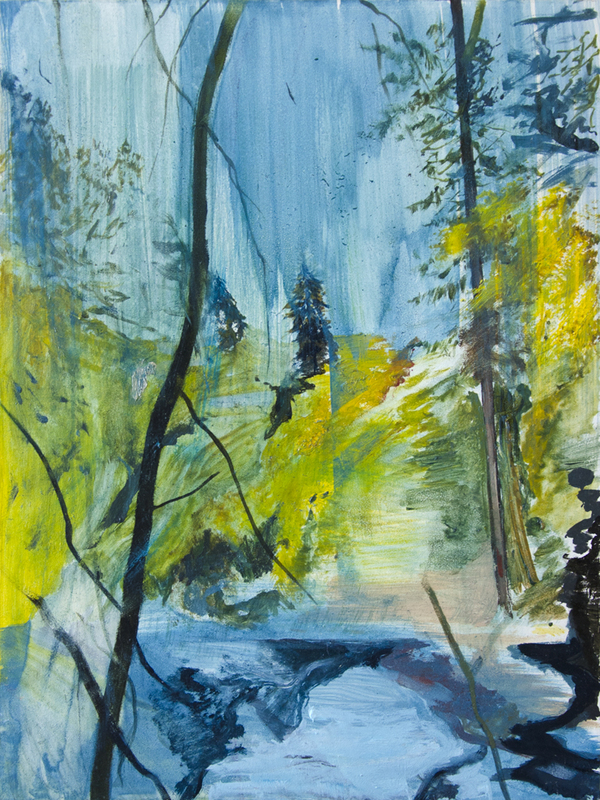 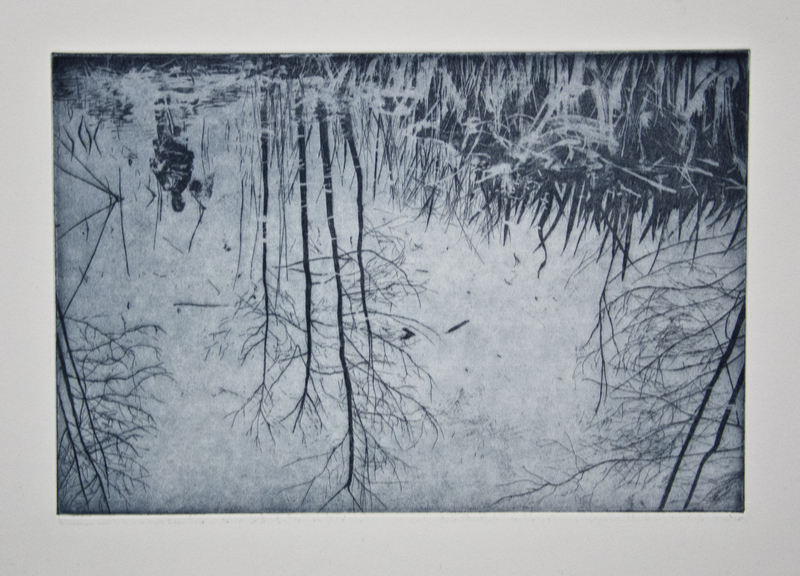 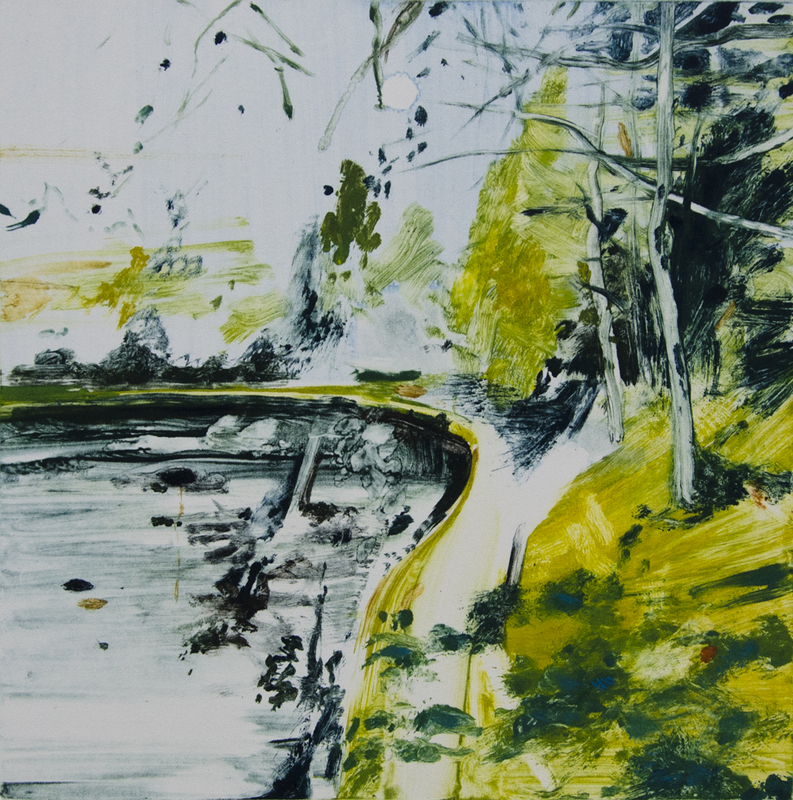 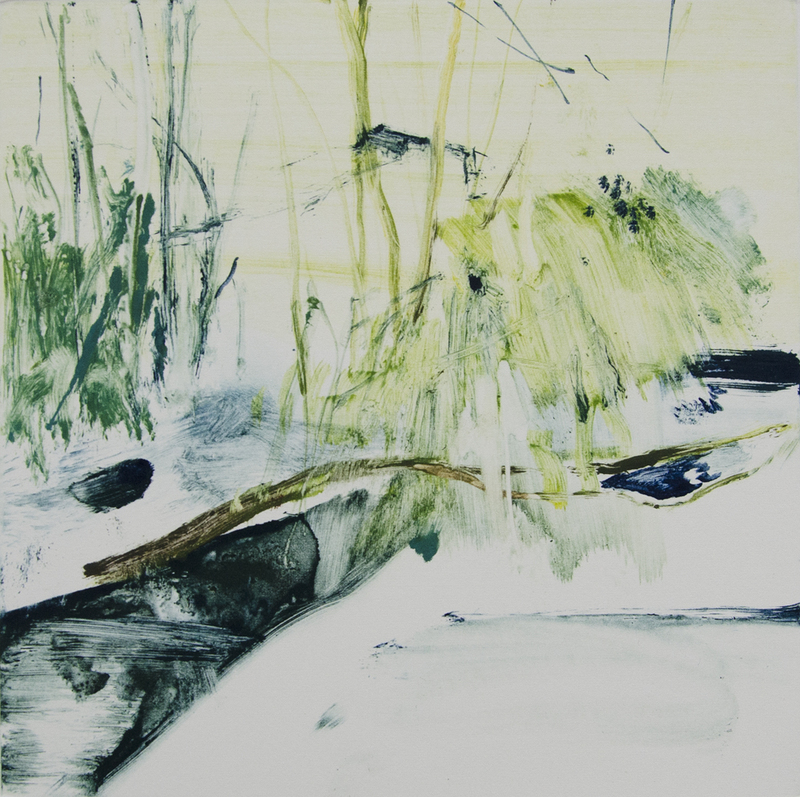 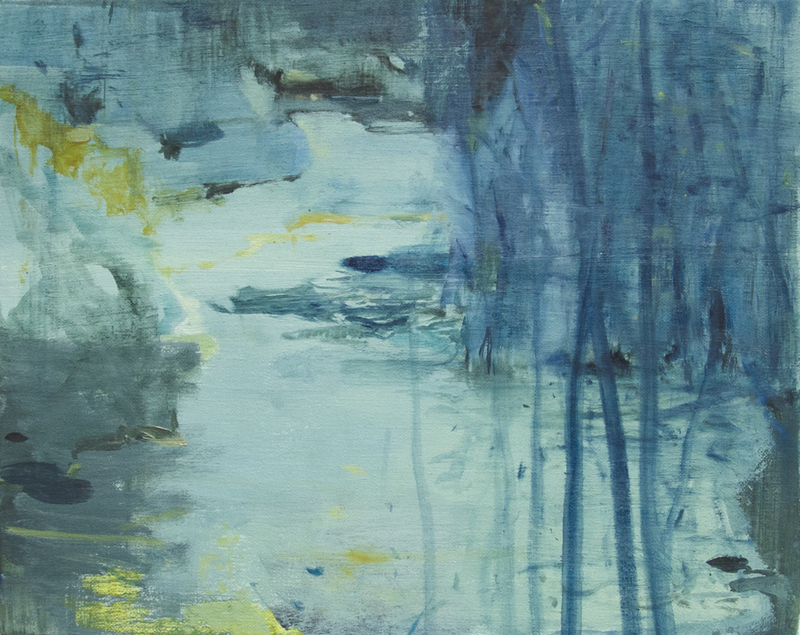 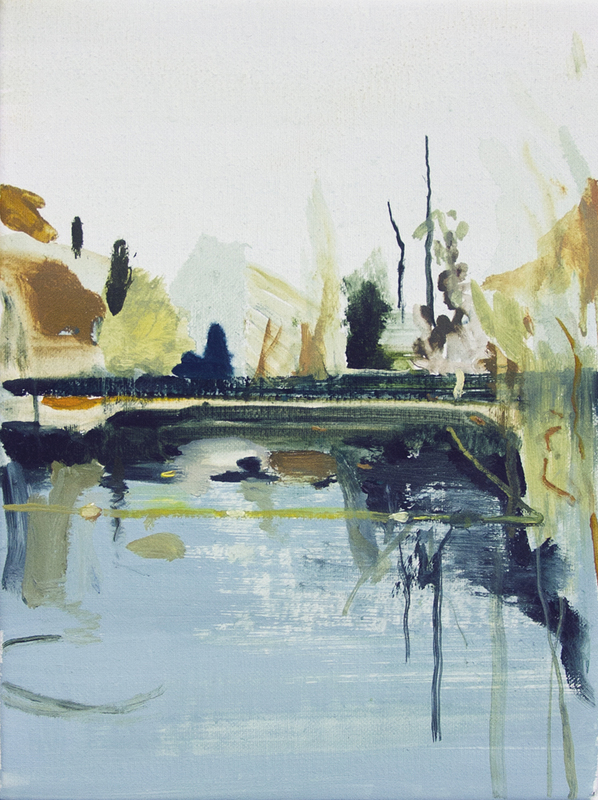 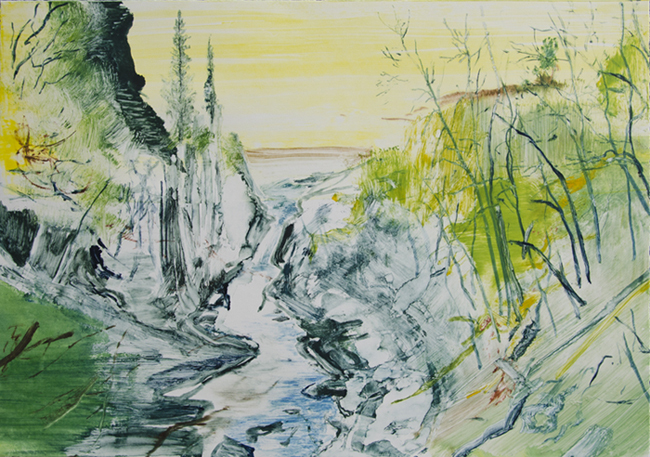 Predominantly landscape-based, Calum’s often involves water with landscape and trees reflected in it. 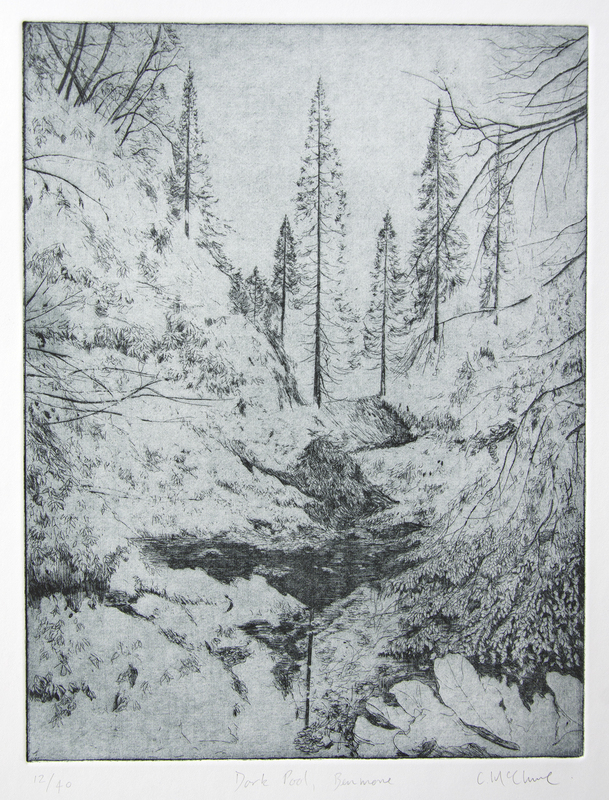 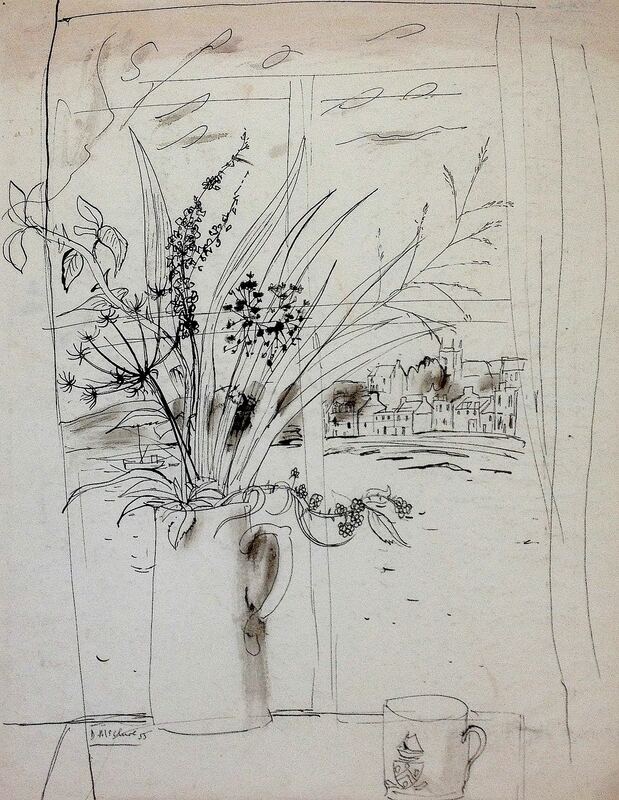 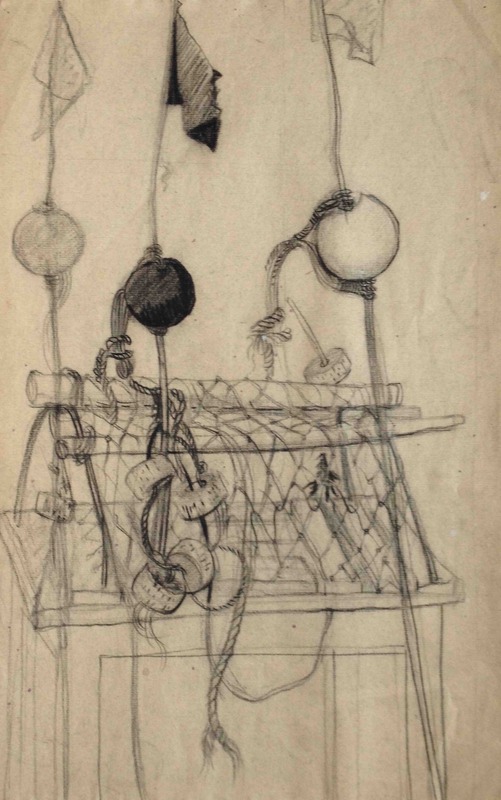 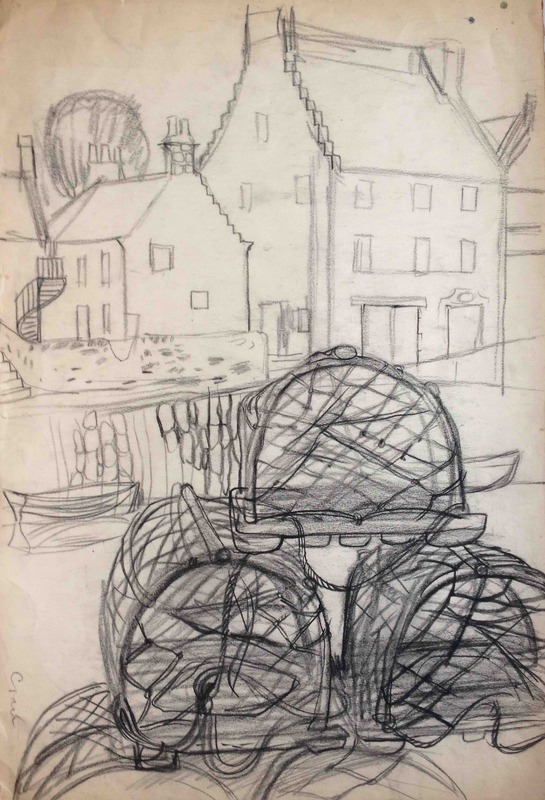 Initially his work consisted of detailed pencil drawings but more prominently oils in which a “realistic” capturing of particular moments of light and pattern is achieved through a highly-varied range of tighter and freer brush marks that also manage to have an independent interest and value of their own. 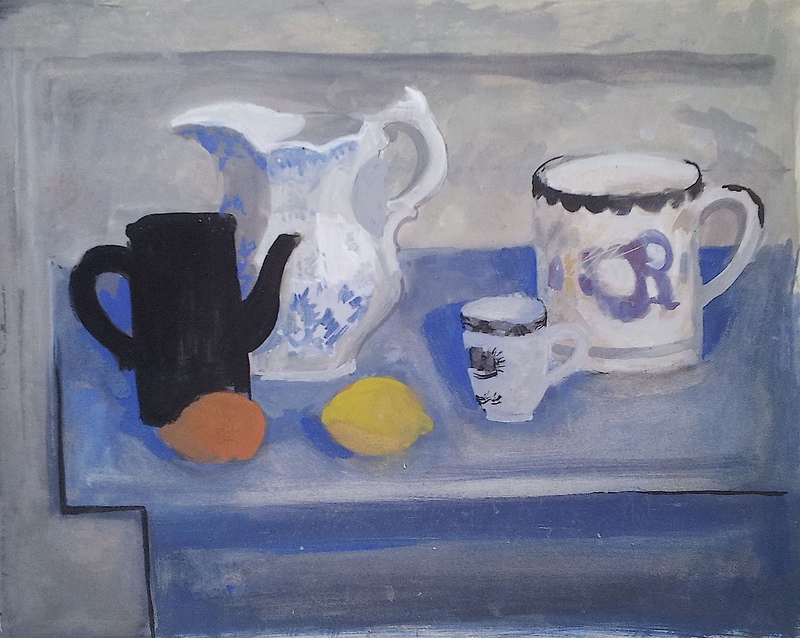 These works can perhaps be described as “natural” in their choice and use of colour. 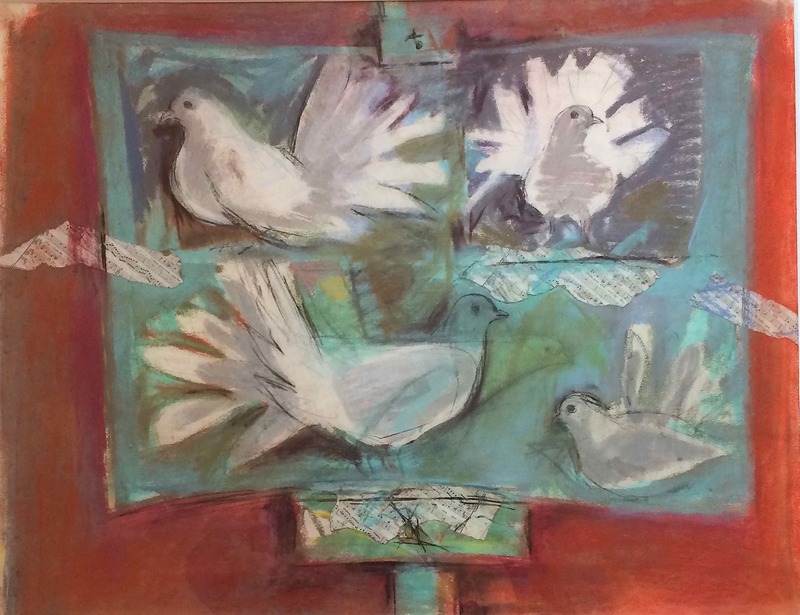 However in the last five years or so there has been a noticeable change in the approach to colour that coincided with the artist adding the monotype medium to his output, initially under the generous tutelage of Barbara Rae. 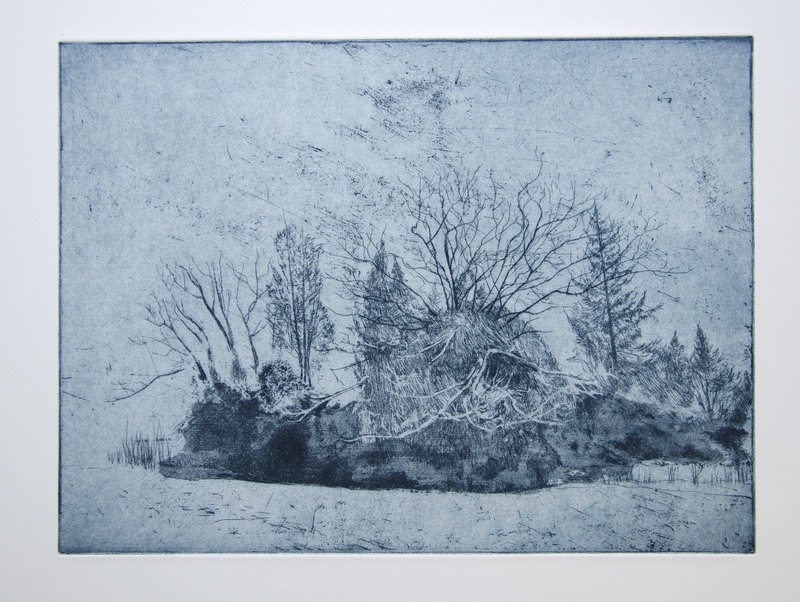 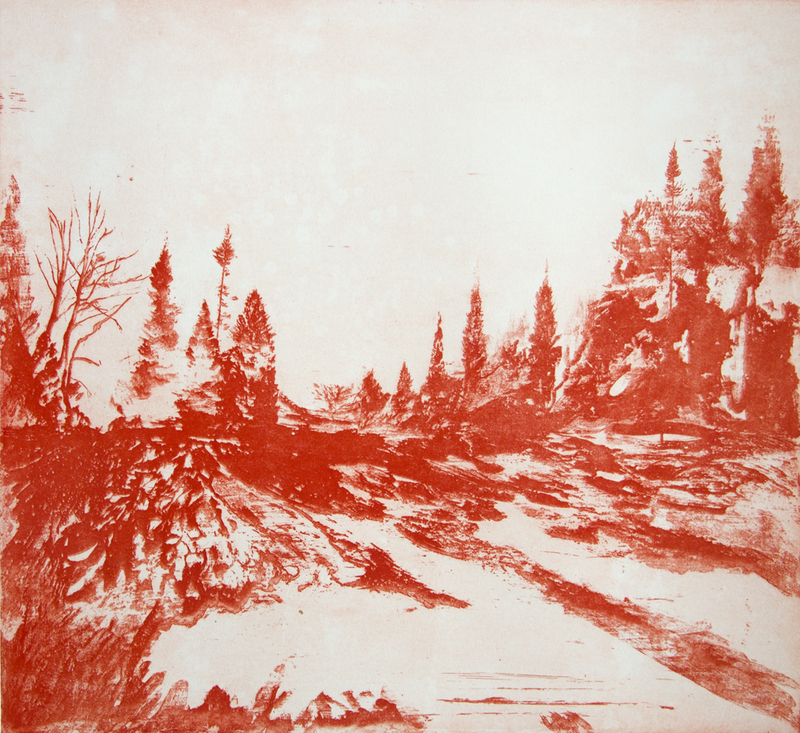 He has continued his monotyping at Glasgow Print Studio, where etchings have also now taken the place of drawings in his output. 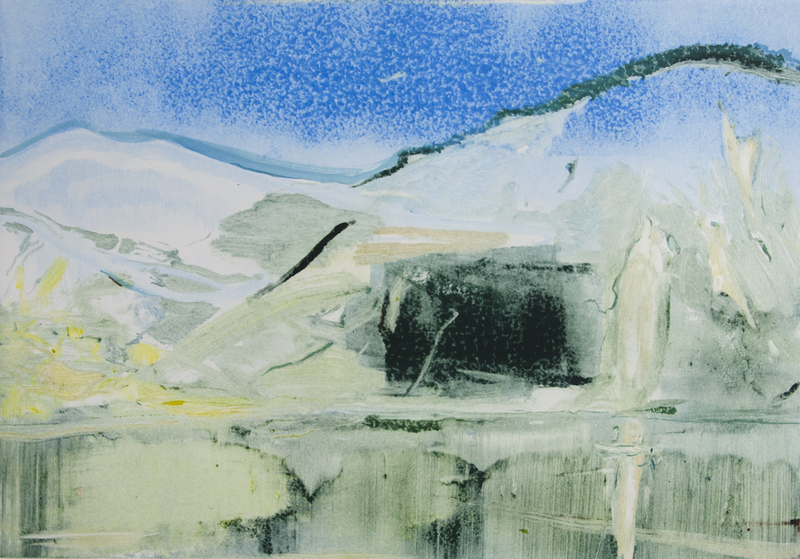 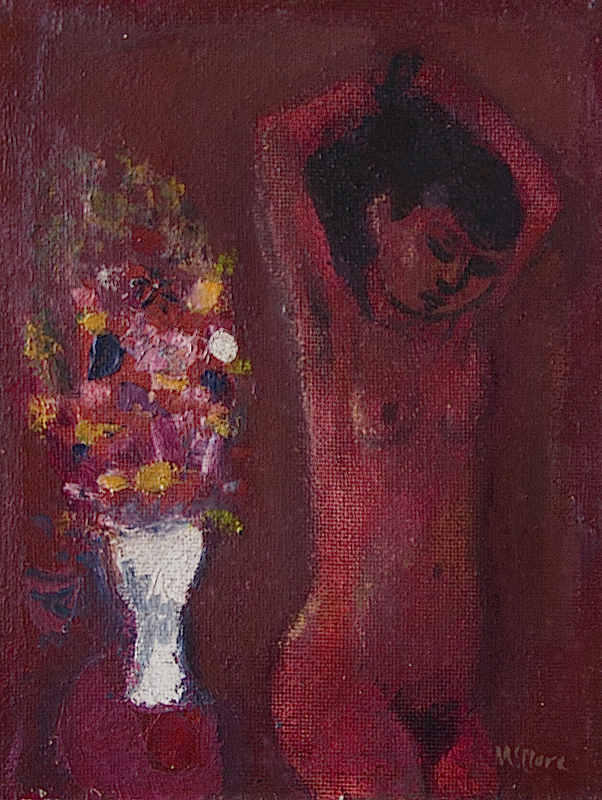 The monotype medium suggests, perhaps even necessitates, but certainly allows a distillation of form and simplification of colour and it is fair to say that the use of strong, saturated colour seen in the artist’s monotypes have also seen a “generation” of similar practice in many of his subsequent smaller and large-scale oils. 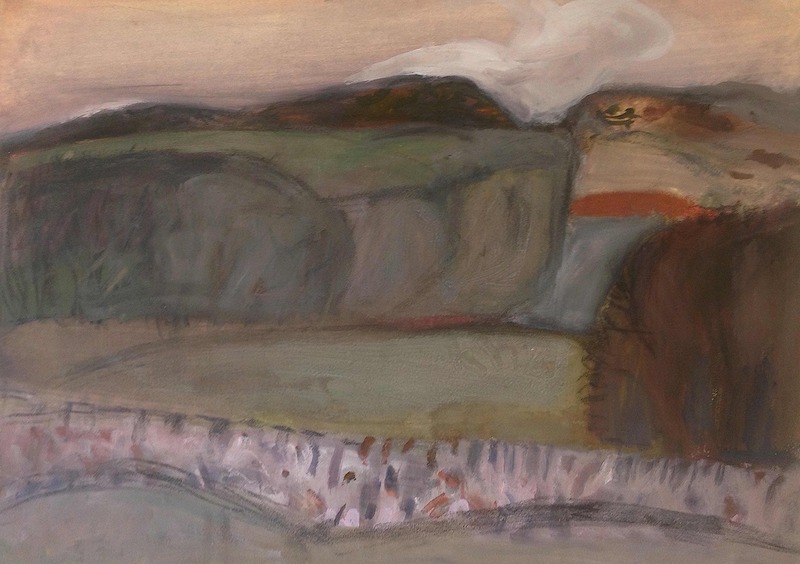 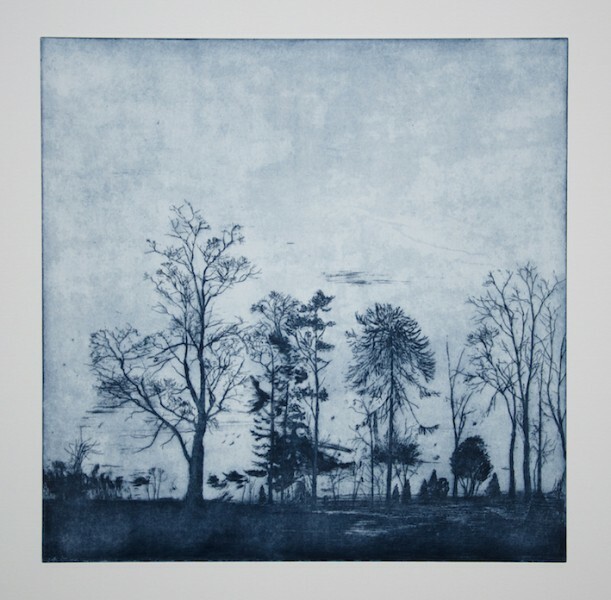 Calum’s work is attracting attention from all over the globe and has recently exhibited in the Royal Academy in London and The Scottish Gallery Edinburgh. 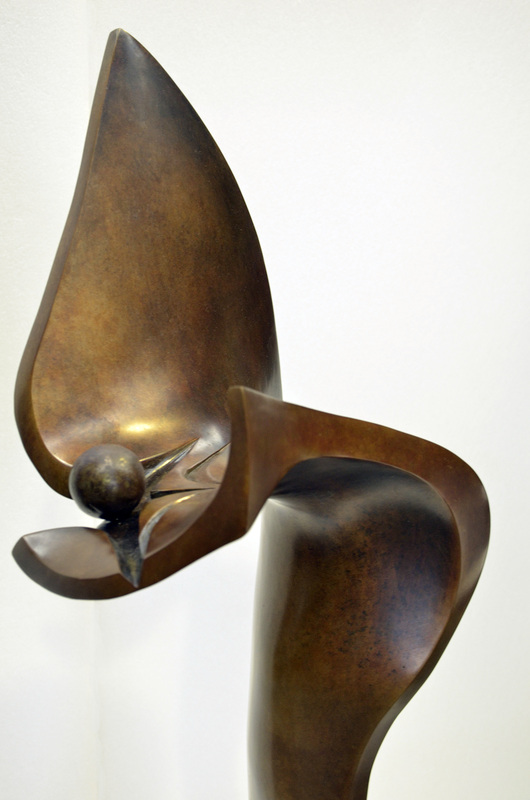 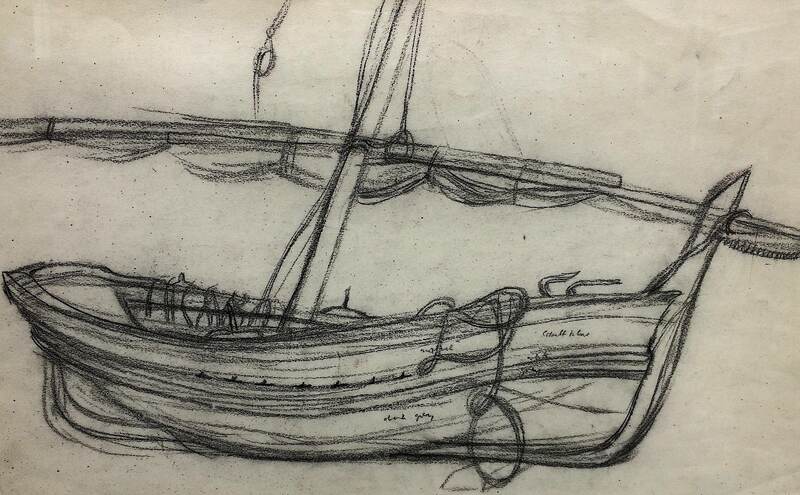 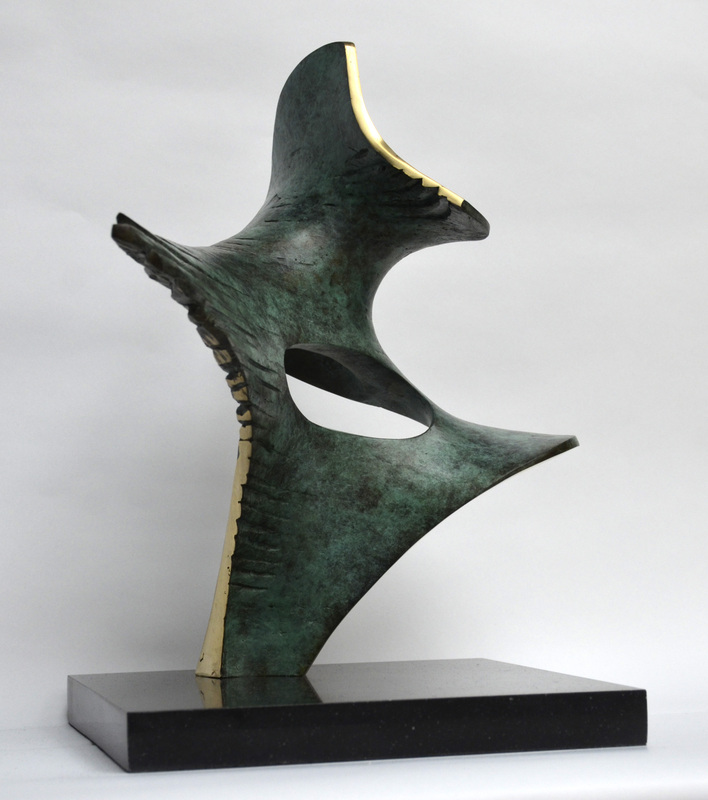 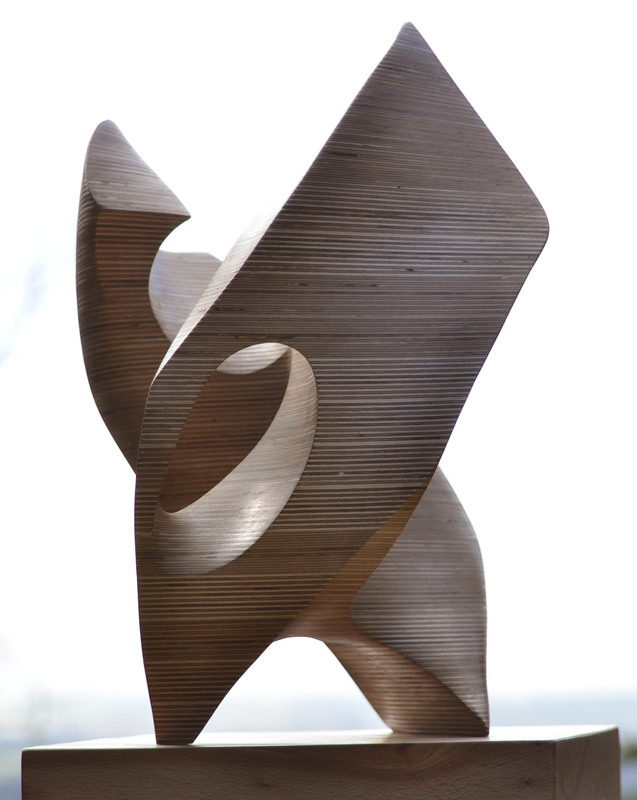 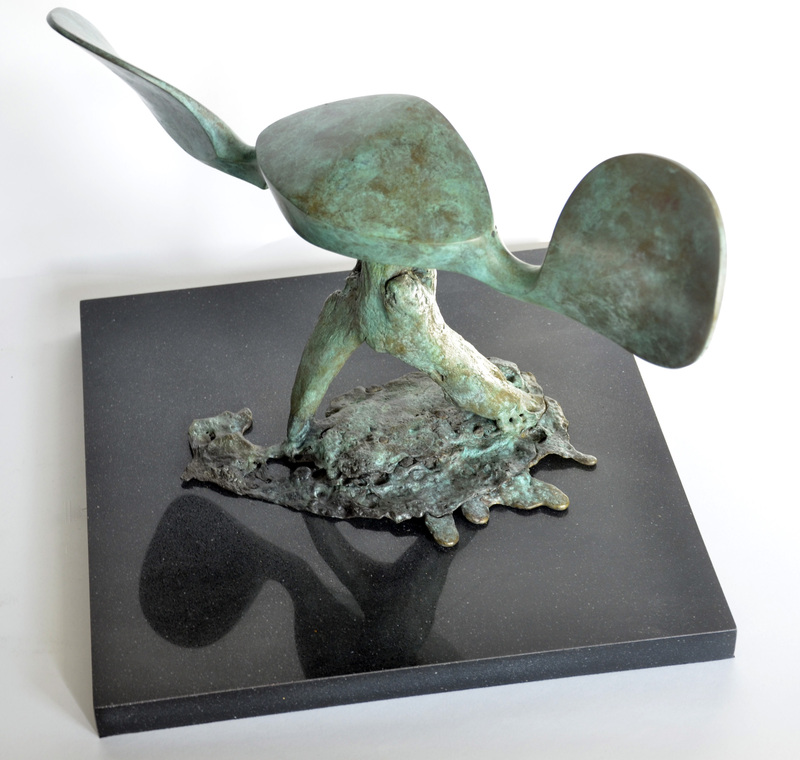 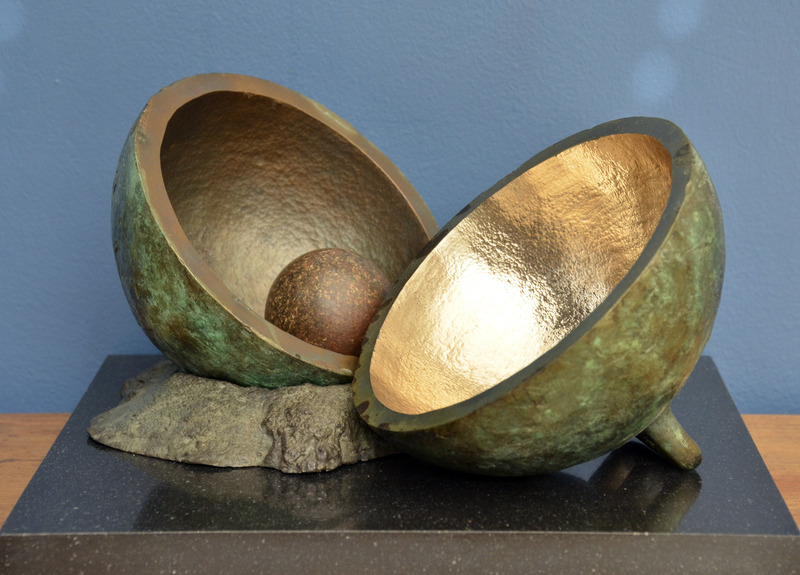 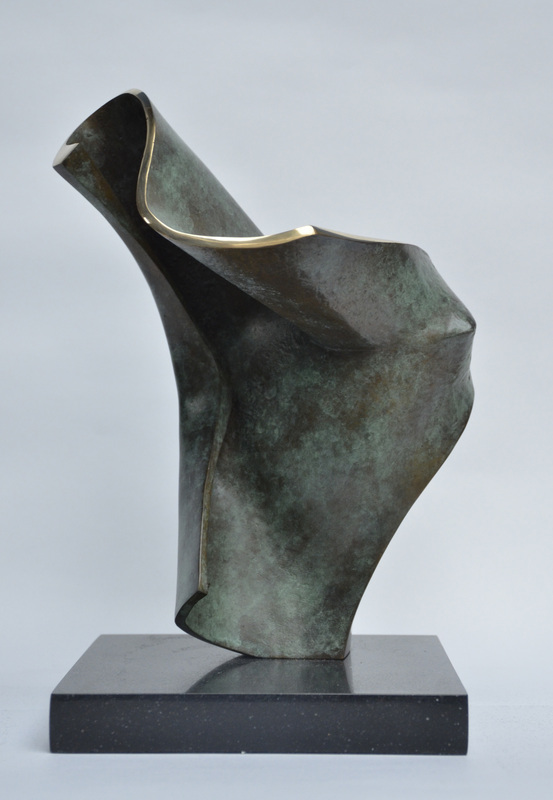 Concurrently we are excited to present new work by Scottish Sculptor Gordon Lochhead. 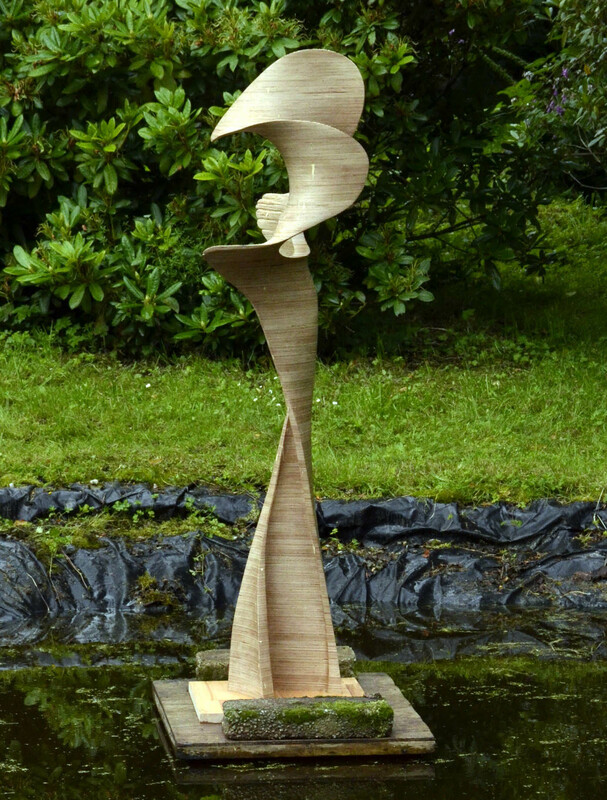 This will be the first exhibition of his sculpture at Tatha, the first of many we hope. 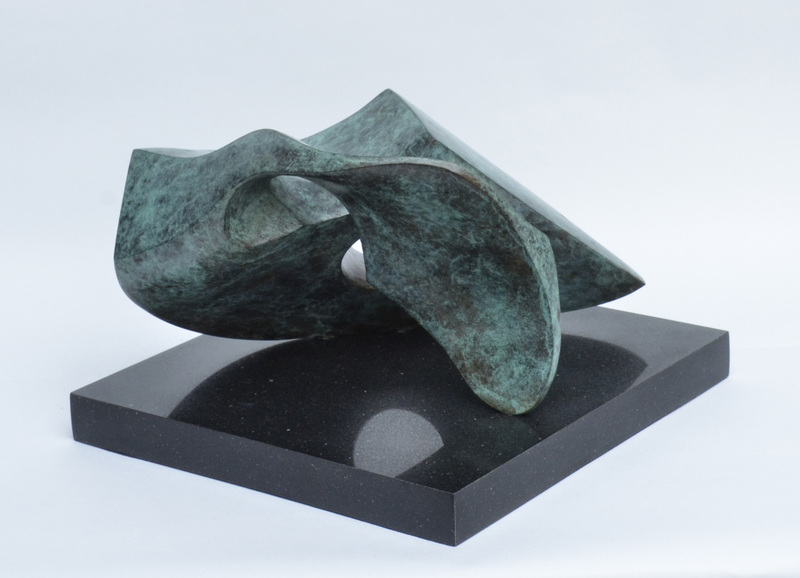 His work is organic in nature reflecting on the ‘amazing shapes that natural forces can carve out of material like rock or transient snow drifts’. 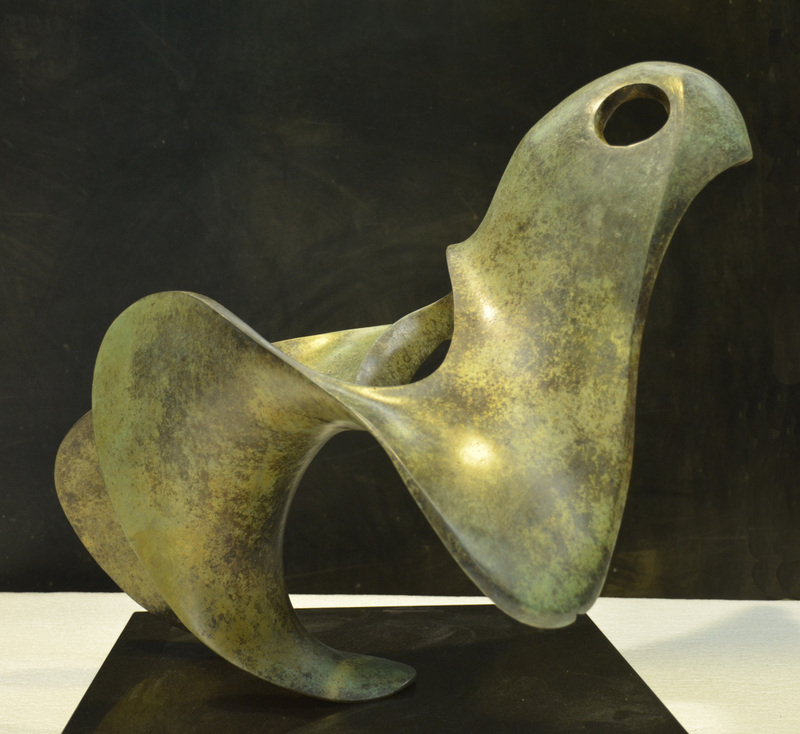 Working in bronze and wood his pieces are elegant and beautiful.